It’s early morning, and you are in need of a fast caffeine fix. Imagine your horror when you find only .whole beans that you bought by mistake, and the receipt is missing, the grinder has quite working. 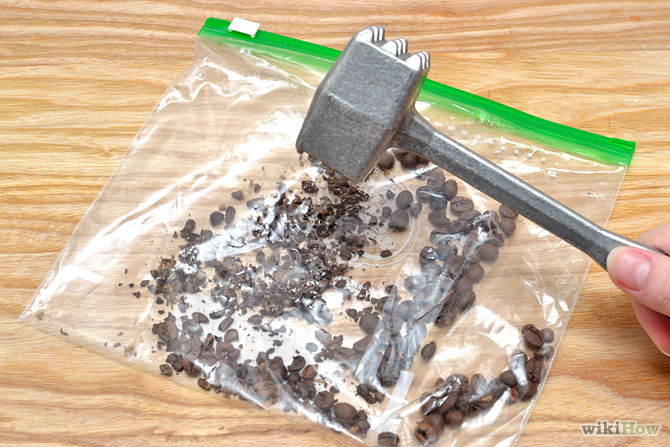 Don’t panic, there are several ways in which to grind coffee, though some may take more physical energy than others. Below you will find some of the common methods on how to grind coffee beans without a coffee maker. There are a few things you need to know before starting to grind. 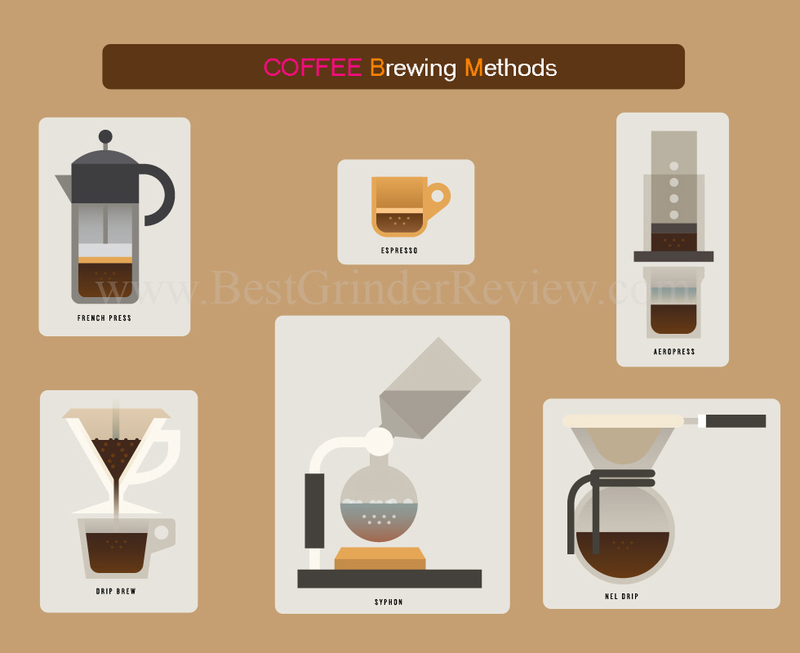 First consider the method brewing, for example, brewing methods that require that the coffee stand in hot water for a long time will require a much finer grind than either drip coffee or a French press. Arabic and Turkish coffees will need to be much finer than other types of coffee. It must be an extremely fine grind in order to taste the way it should. These coffees are best when ground using the mortar and pedestal method if a grinder is not available. Another consideration is how much you should grind at a time. It’s recommended that one tablespoon of coffee beans per cup needed should be used. Ground coffee will not stay good as whole beans, and will require special storage. The best method is to put the coffee into a glass jar with a tight fitting lid. It will need to be kept in a dry, cool area, away from light and heat. When grinding without a grinder one of the first methods thought of is the mortar and pedestal method. Here a few beans are placed in a bowl at a time, this is because the beans will tend to try to fly out. In all honesty the beans will try to fly out every time they are hit. Using a very short stroke and practice will make this issue less of a problem, but it will also take some physical energy to complete. One man stated that on his first attempt the beans flew out, and he continued to find pieces of beans in his kitchen for the next month. This method is not for everyone. A variation of mortar method is the hammer method, with this method the beans can’t go flying. Place your beans into a high-quality freezer bag, and make sure it’s closed. Place the bag between two towels and beat with a hammer. A short stroke is best, and will produce a finer grind faster that the mortar and pedestal, and can take less time and effort. A strong hammer isn’t needed, a regular household hammer works fine as does a meat tenderizing hammer will also work. Next we’ll look at the roller method. Prepare the beans as in the hammer method, but use a rolling pin instead of a hammer. So people swear by this method, finding it easier than the hammer. If like many households today, you don’t have a rolling pin or have been forbidden to use it by the family baker, you can use a heavy jar or large unopened can. If you are especially lucky, the household may own an old-fashioned mincer or grinder. These clamp onto a table or counter, and is operated by turning a handle. A rather old-fashioned method, but is easier than many of the above choices. In this method you will simply place the beans on a chopping board and chop the beans as fine as possible. Most people agree, that the knife must be very sharp with a 5” blade for the best results. It’s also recommended that the chopping board be sturdy. The chopped beans are then brewed in the same way that tea is brewed. One important word of caution though, do not swallow the beans. It could conceivably cause a caffeine overdose. We’re almost done, but we should describe the different types of kitchen appliances that can easily be used to grind the beans. First and the most common is the household blender, it should be set to pulse and watched until it has reached the required fineness. Next try a food processor, start with the blade that will create a coarse grind, now change the blade to one that produce a finer product. It has been said that a spice grinder will also produce a good product. The kitchen appliance method is by far the easiest if you already have the appliance and access to electricity.All the mentioned methods above on how to grind coffee beans without a coffee maker need more manual work to make it happen. Let’s finish with the easiest of all methods, the coffee shop. That’s right, you can go to almost any coffee shop with your beans and they will grind them for you. Even the mighty Starbucks is said to grind beans for those who request the service, though I’ve been told you must ask nicely.